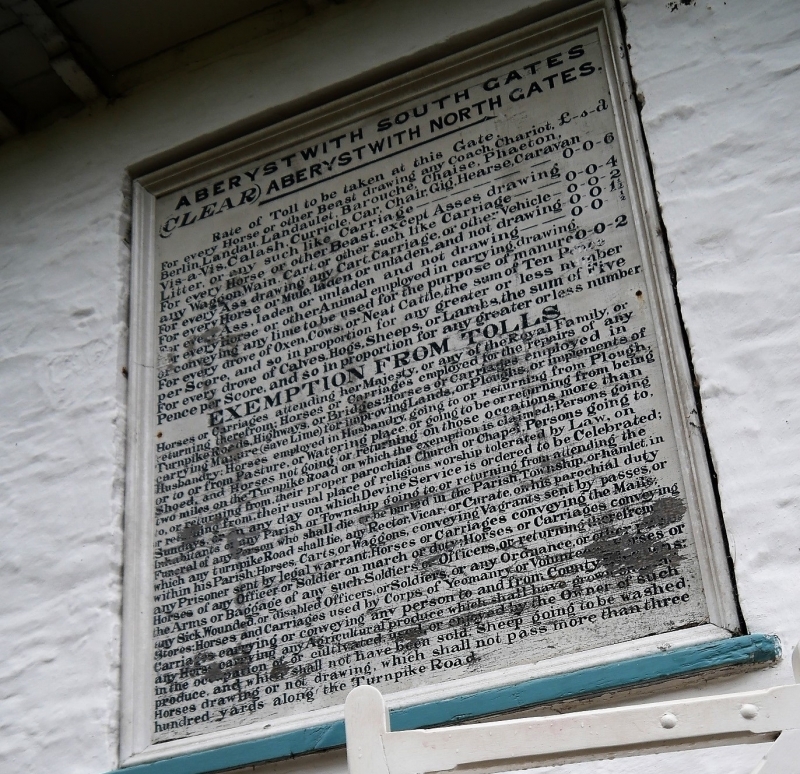 This toll-house was built in 1771-2 as the Aberystwyth South Gate on the Cardigan Road at 'Penparcau'. The first toll was charged on 23rd March 1772. The roof was raised at some later date. The toll-house functioned until 1864 when most of the Turnpike Trusts were abolished. It was re-erected at the Museum in 1968. Whitewashed stone rubble walls with a slate hipped roof. Single storey single cell building, square on plan with a polygonal south-east end. Windows with pointed heads and leaded glazing, two in each side wall flanking the toll-boards and one to each side of doorway at south-east end; square-headed doorway in pointed arch, ledged half-door. Paired bracket eaves cornice, with a stone chimney stack at the north-west end of the roof. Single space plastered interior with an open, light principal rafter roof.